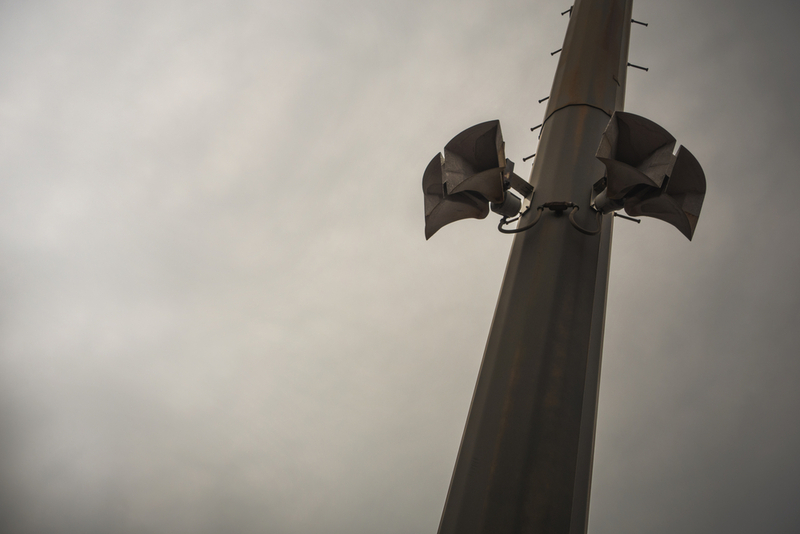 There are numerous companies that can supply wired PA systems, Radio Systems is one of them with services offered from design, through to supply, installation and commissioning. The value added service that Radio Systems offers is provision of customised wireless PA, as either standalone or as a wired/wireless hybrid. Installation of a wireless PA system is far simpler than for a traditional hardwired PA and can be accomplished at a fraction of the price. Planning to lay cables in an existing industrial plant is in itself a complex and costly exercise, often reliant upon old and unreliable documentation.A wireless system by contrast would be planned by Radio Systems based upon site surveys for wireless coverage, where cable routing below and above ground is not a consideration, nor is it reliant upon archived documentation. In implementing any design, significant time will be saved due to the wireless nature of the product, which avoids trenching and re-wiring the entire facility. Installation costs are reduced by eliminating the need for civil works, the need for possibly thousands of metres of copper wiring as well as the labour resources required to install it. 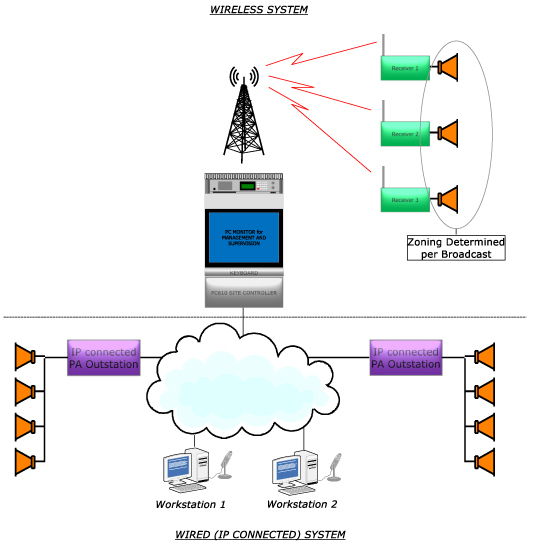 ‘Wireless’ embraces many bearer options, licensed, unlicensed, plain speech, encrypted, single channel, multi-channel, etc. All are understood by Radio Systems and we would be happy to discuss merits and recommendations for any application. The Radio Systems document PAGA and VIS in Marketing & Technical Support gives more details of the numerous options.